What is Bradycardia and What causes it? 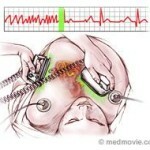 A slow heartbeat (heart rate) is called bradycardia and is an arrhythmia, or a heart rhythm disorder. A normal heart beats about 100,000 times per day, at a usual rate between 60 to 100 times per minute. Changes in heart rate caused by diet, activity, age and medications are common and normal. What is considered a slow heart rate? Usually, abnormally slow heart rates are below 60 beats per minute and can be either life threatening or harmless. At certain times, like during sleep, it is normal for the heart rate to be slow. An abnormally slow heart rate for one person may be different for another person. For example, a strong, young, healthy athlete may have a resting heart rate of 30 to 40 beats per minute, but may simply increase the heart rate to 170 beats a minute with exercise. This is normal. However, it is abnormal for another individual may have a heart rate of 30 to 40 beats per minute while climbing steps, but then feels weak and tired. What causes a slow heartbeat / bradycardia? The beating heart is controlled by a sophisticated electrical system that signals the heart muscle to contract thereby pumping blood to the rest of the body. 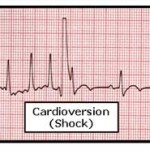 Bradycardia occurs when the system slows or blocks these electrical signals. 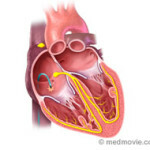 Sinus Node Dysfunction– Bradycardia can be caused by the natural “pacemaker” in the heart operating in an abnormally slow manner. The heart contains a group of cells in the right atrium called the sinus node that generates an electrical signal, or impulse, to the lower chambers (right and left ventricles) to contract, allowing a heartbeat about once every second at rest. The sinus node is able to increase its rate of “firing,” depending on the individual’s needs. 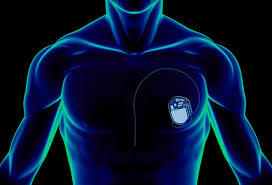 Overtime, this natural pacemaker can fire too slowly or wear out or sometimes fail to fire, resulting in slow heart rates (sinus bradycardia).